Home » We are Amiga! I can't believe it's already March, just where has the time gone? 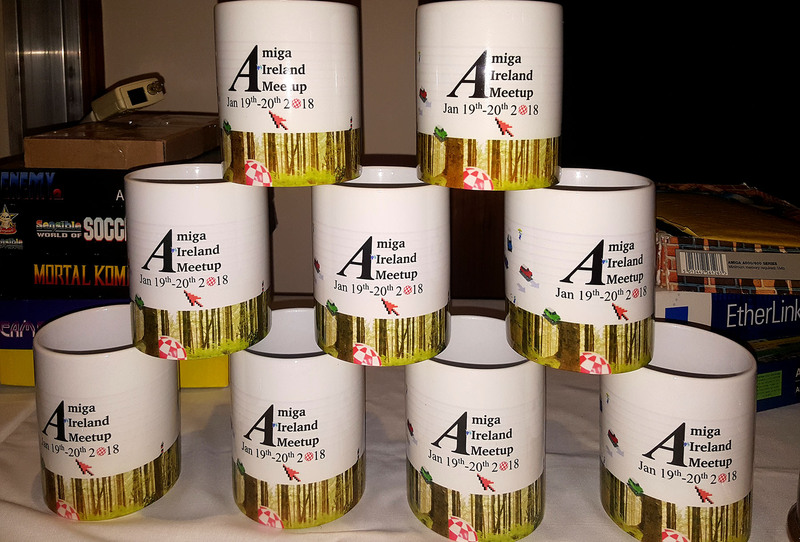 I suppose a trip to Athlone to attend the Amiga Ireland 2018 Meetup in mid January helped to soak up some of the time. Once again, Jarlath and his crew made us feel very welcome, although the stories of drinking horse's milk took on an entirely new meaning thanks to a few pints of Guinness and some good Amiga company (MsMadLemon you know who you are). 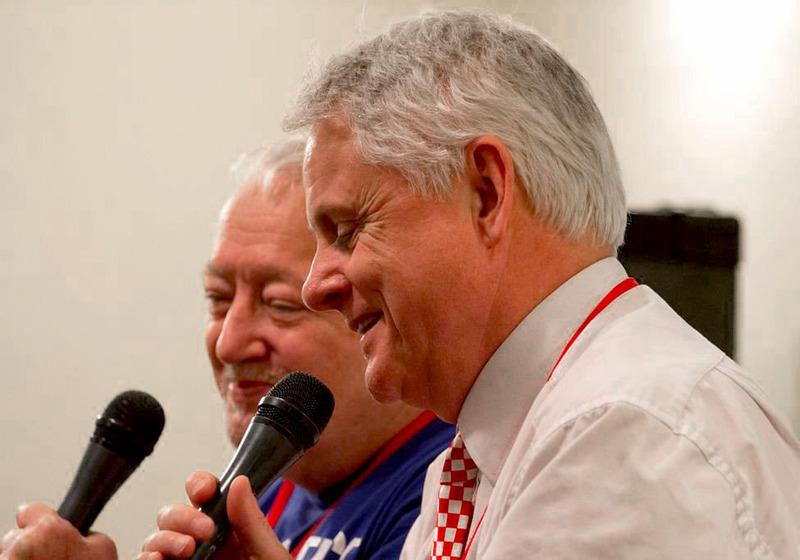 David Pleasance, former Commodore Managing Director and I gave a couple joint Q&A sessions and during one of them I talked about the special bond that we all share as Commodore and Amiga enthusiasts, which without all of us keeping the dream alive there would be no Amiga. Kenny Gaughan recorded my "We are Amiga" comments and posted them on his Sensible Blogger YouTube channel. I was quite pleased with myself, thinking I had invented a new inspirational Amiga slogan on the spur of the moment but, on checking later, I found someone else had already beaten me to it a few years ago! Such is life. However, while I was in Europe I managed a quick side trip to AmigaKit's offices in Cardiff to pick up a shiny new motherboard to take back with me to New Zealand. Over the past few months I've had fun helping to test beta versions of Daniel Müßener's Amiga based port of Tower 57, a dystopian, steampunk top-down shooter game with 16-bit inspired pixel art and destructible environments being developed by Pixwerk. 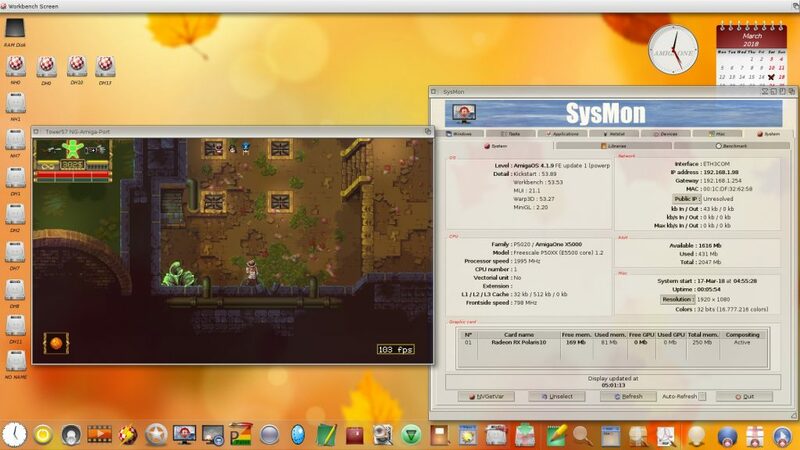 Although the game was being developed for PC, Mac & Linux machines additional stretch goals were included for game ports to AmigaOS4, MorphOS and AROS. I backed the Kickstarter campaign in the hope that the stretch goals would be achieved and fortunately the campaign raised enough funds to realise this aim. Daniel Müßener took on the task of creating the Amiga ports and has worked really hard to make the Amiga version very special indeed. The PC and Mac versions were officially released in November last year and, as a Kickstater backer, I've played the game on Steam on my PC. Yes I actually have a PC. However, I have to say Daniel's Amiga ports are very impressive. 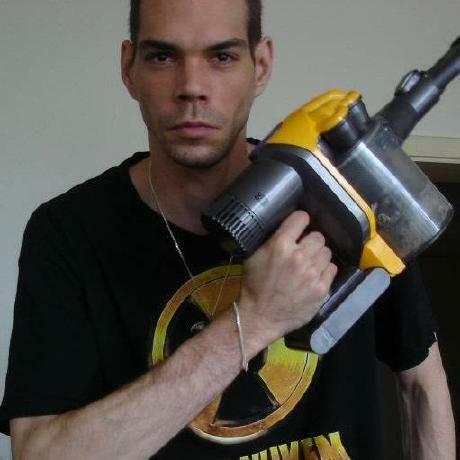 Using his advanced coding skills he has gone above and beyond in his attempts to optimise the game making it eminently playable, even on least powerful machines. He provided a special benchmark reference saved game to show how his Tower57 game port staked up against the official Steam release. 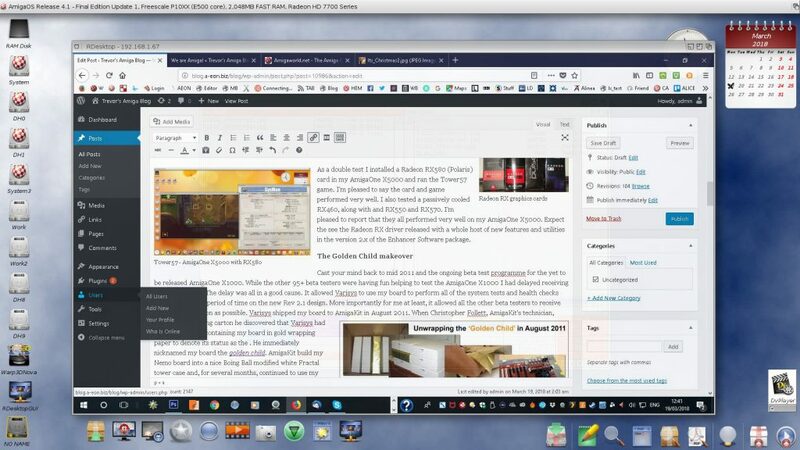 It's probably no surprise that the AmigaOne X5000/20 comes out on top by quite a margin. 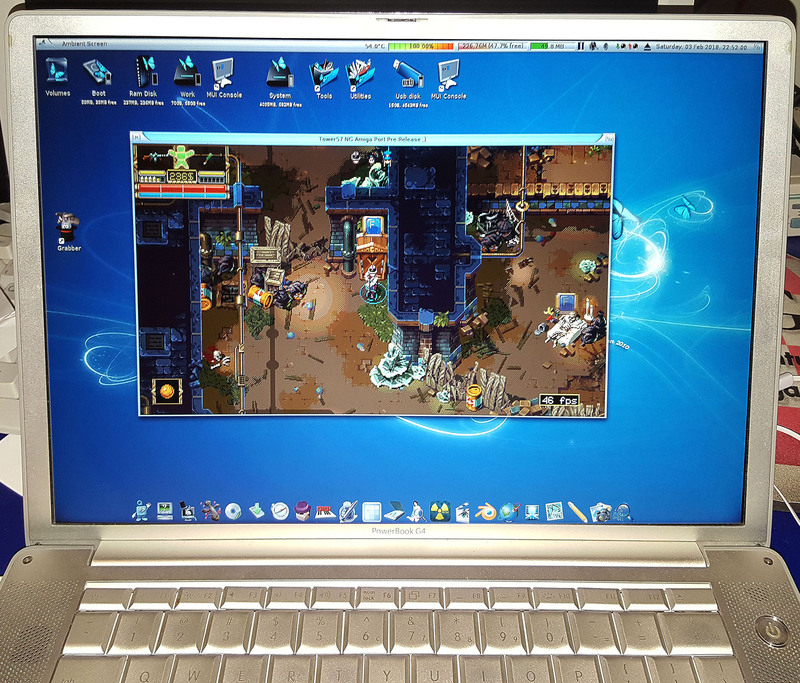 The AmigaOne X1000 was no slowcoach either and pushed the G5 PowerMac into third place in my tests. 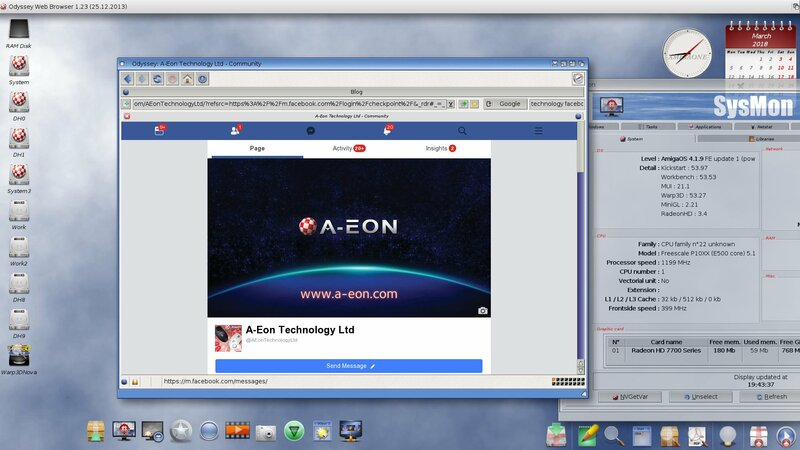 It was also really good to see the AmigaOne A1222 giving the 2.5 Ghz PowerMac a run for its money. However, the really good news is that all of the Amiga Next-generation machines compared favourably with the commercial Steam release and were all very playable. 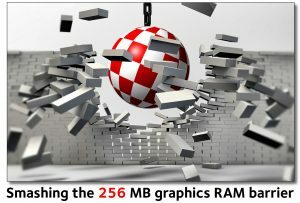 Now what was that about benchmarks? I've always absolutely believed in them! 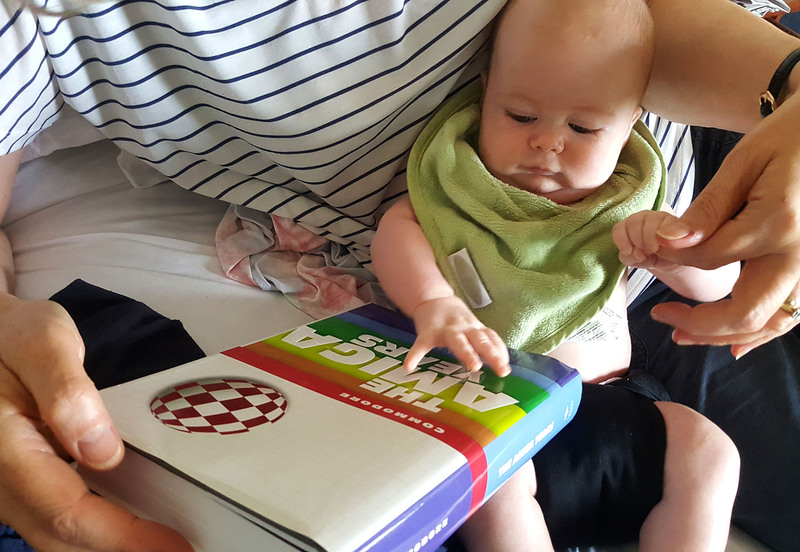 The good news is that Daniel has now officially released the game for all Next-Generation Amiga systems so there is no excuse for not trying out the game yourself. Even better, Daniel has now included an auto-updater which checks online to see if a new version of the game is available for your hardware. If it is, you have the option of downloading the Tower57 executable. 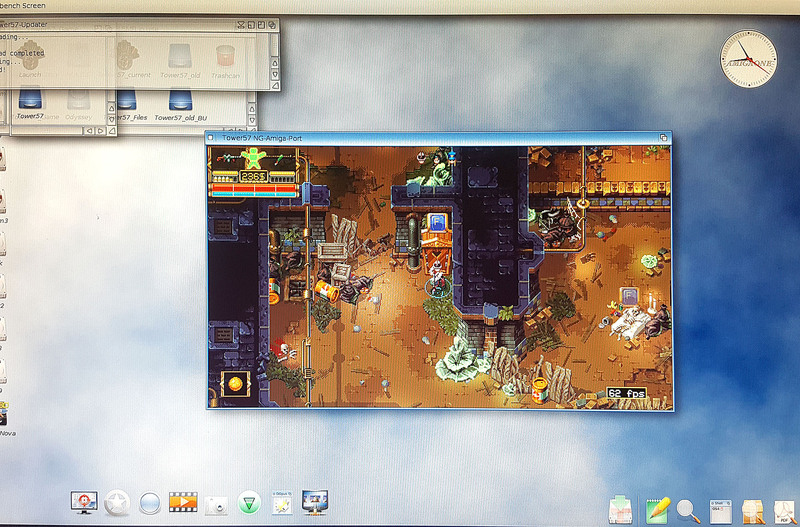 If you don't have a suitable Next-Generation machine (shame on you ) you can always try out the Steam version on a PC. My Kickstarter pledge level entitled me to several eBooks and I received the download link on Christmas Eve, which was a nice present. 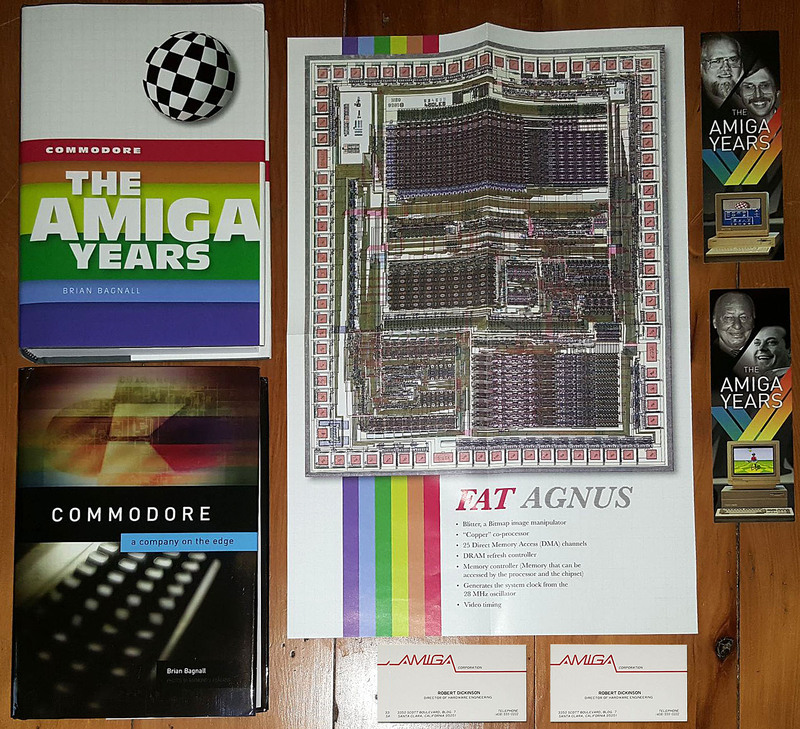 In late January I finally received my signed copy of the book and a number of extra goodies including another copy of his earlier Commodore book, a FAT Agnus poster, two nice Amiga Years bookmarks and a couple of Amiga Corporation business cards revealing me as the Director of Hardware Engineering. OK Brian you are forgiven! I finally decided to replace that dodgy PSU unit in my X1000 tower. On checking the Fractal website I discovered that they had a special limited edition White and Gold Define R5 tower case for sale. It just had to be. Didn't the Golden Child, the motherboard that proved the Nemo Rev 2.1 design, just deserve to have that case? 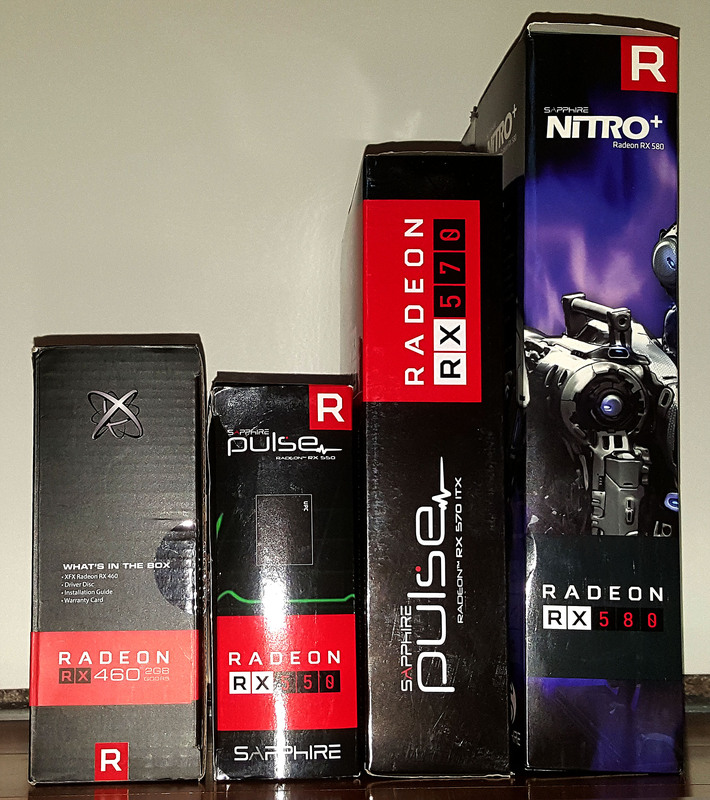 Fortunately the limited edition case was available to buy in New Zealand so I ordered it along with a new PSU. As soon as it arrived I quickly reassembled my AmigaOne X1000 system and on first power-up she immediately booted to the Workbench screen. I'm pleased to report that all of the previous PSU problems have disappeared and my Golden Child looks really good in her new surroundings. Apparently Nemo can be a girl's or boy's name so my AmigaOne X1000 is definitely feminine. After a couple of weeks of almost continuous use I have to say my AmigaOne X1000 has never performed or looked better! 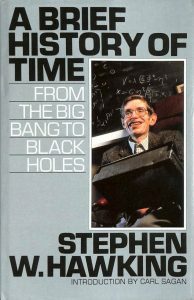 The recent death of Dr. Stephen Hawking, the preeminent theoretical physicist, cosmologist, author and all round genius got me thinking about the first time I read his book, A Brief History of Time when it was published in the late 1980s. I read the book twice and could still not get my head around some of his intricate mathematical concepts about life, the universe and everything! 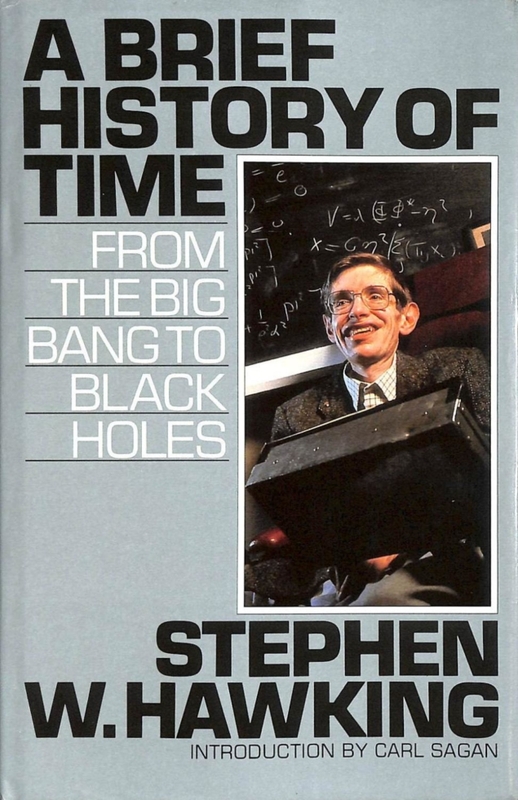 It wasn't until my wife bought me the illustrated version complete with colour pictures, published in 1996 that a I finally started to understand some of his advanced theories about space and time. I also remember a very iconic British TV commercial in which Hawkings appeared in the early 1990s to promote BT (the leading UK telecommunications company). The advert was part of BT's It's Good to Talk campaign which, while obviously aimed at promoting the company's business, had it's central theme that we, as human beings, have accomplished our greatest technological achievements by talking and our greatest failures by not talking. His message was clear, "All we need to do is make sure we keep talking". The commercial inspired English rock band Pink Floyd to compose the song Keep Talking for their 1994 album, The Division Bell which included Hawking's distinctive synthesized voice sampled from the BT advert. Pink Floyd again used his voice on the track “Talkin’ Hawkin’ ” in their final studio album, The Endless River, released in 2014. With all the miscommunication and mayhem happening around the word today, we really need to make sure we keep talking, listening and communicating. RIP Stephen, the word will miss your brilliant mind. 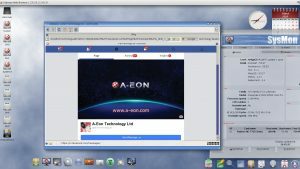 I'm actually writing this blog using a combination Odyssey and Remote Desktop on my AmigaOne A1222 to test out a new on-board Ethernet driver written by AmigaOS 4.1 developer Rene' Olsen. .
Not only is Hans de Ruiter a graphics wizard, he is also a fully fledged member of the modern maker culture. 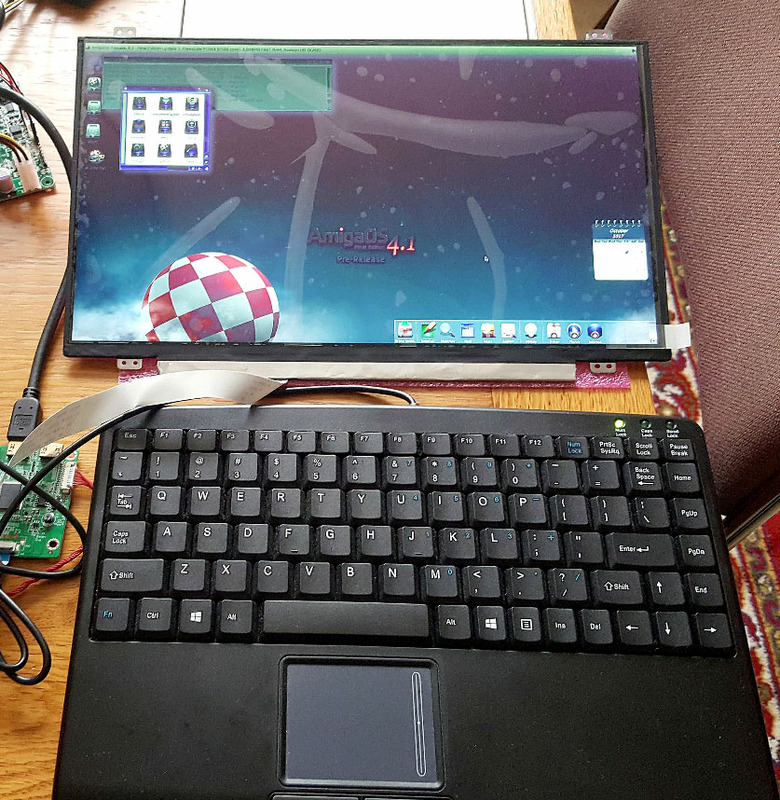 Not content with helping to drive AmigaOS graphics development, in his spare time he is working on a special DIY Mini-ITX laptop project. 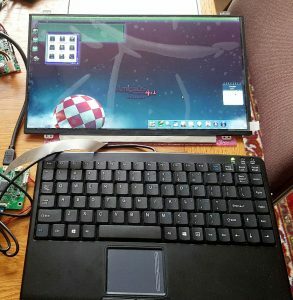 He is using his Tabor beta motherboard as the trial basis for a portable AmigaOne laptop which we have codenamed PORTIA (PORtable Tabor Inspired AmigaOne). Of course, as Amigans you will know that PORTIA was also the name given to the original Ports and Audio custom chip in the very first Amiga. Later its functionality would be expanded and the chip would be renamed PAULA. 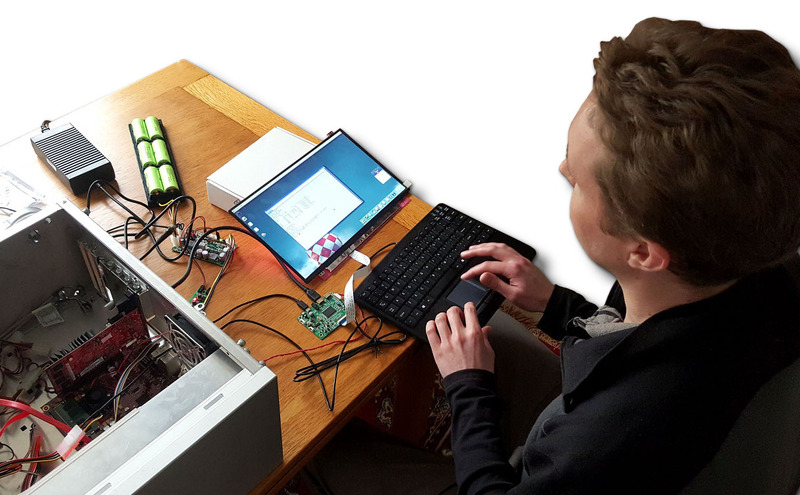 In true Amiga spirit, Hans is developing his DIY laptop kit for people who enjoy making stuff and who would like to build a laptop from parts they choose themselves. 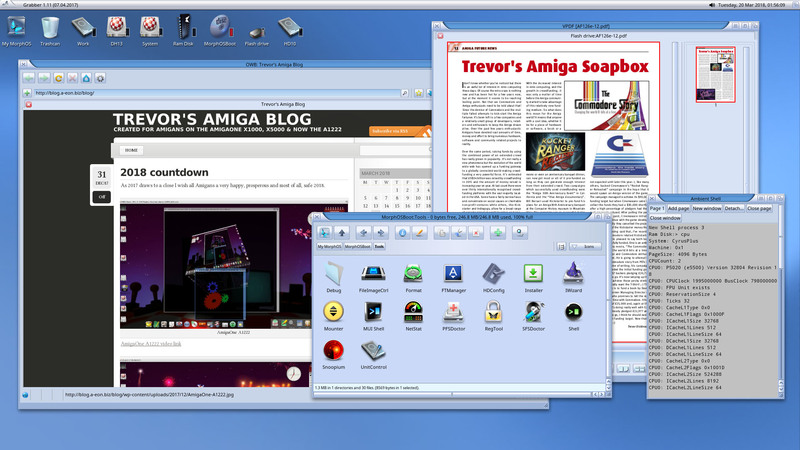 Recently I got the chance to try out the latest beta version of MorphOS 3.10 on my own AmigaOne X5000/20. First of all I had to remove the Radeon HD7970 graphics card that I had installed and replace it with another Radeon HD card that MorphOS fully supports. I tried a couple of cards before settling on an MSI R6670 (HD6670) which seemed to work OK. After that, the installation process was quite fast and painless. I do like the MorphOS CD Live mode that lets you try MorphOS before you install it. The Live mode allows you to set up networking and audio from the CD which enables you to browse the net with OWB or play tunes with Jukebox. A very nice feature indeed. 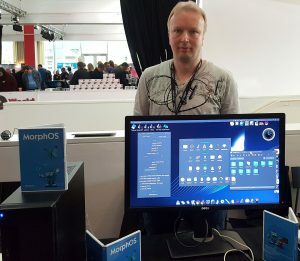 I haven't had a lot of time to try out MorphOS yet but in general it seems to run very well on my X5000. I don't know when MorphOS 3.10 will be available for general release so please don't ask me. If you are going to be in the London area on Saturday 16th of June why don't you make your way to the Greenford Community Centre to attend the RetConFestival, a retro gaming festival organised by the Greenford Computer Club. Former Commodore UK MD, David Pleasance will be at the show and by that date he should have copies of his book for sale and signing. 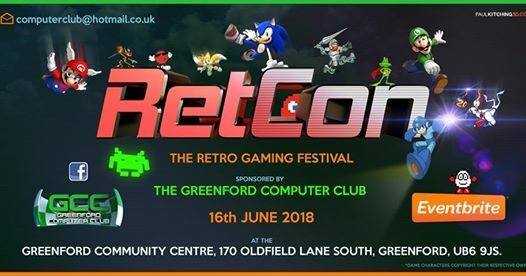 I will also be attending the show and will be talking about my Commodore and Amiga passion (hey who said obsession?). Tickets are currently on sale through Eventbrite and according to the organiser, Steve Bennett, even at this early stage they are already selling well. So come along and meet David and me and let's have some Triple-A fun! The Boingcaster by Thomas "Rocking" Frieden, our own resident AmigaOS software genius, rock guitarist and artist! Who would have known?